A pair of greyhounds in bronze by acclaimed sculptor Keith Sherwin. Originally bred for coursing game, most greyhounds now show their impressive speed in a sporting way through racing. Their quiet, gentle and loyal nature has led to a lot of retired greyhounds being given homes as family companions. 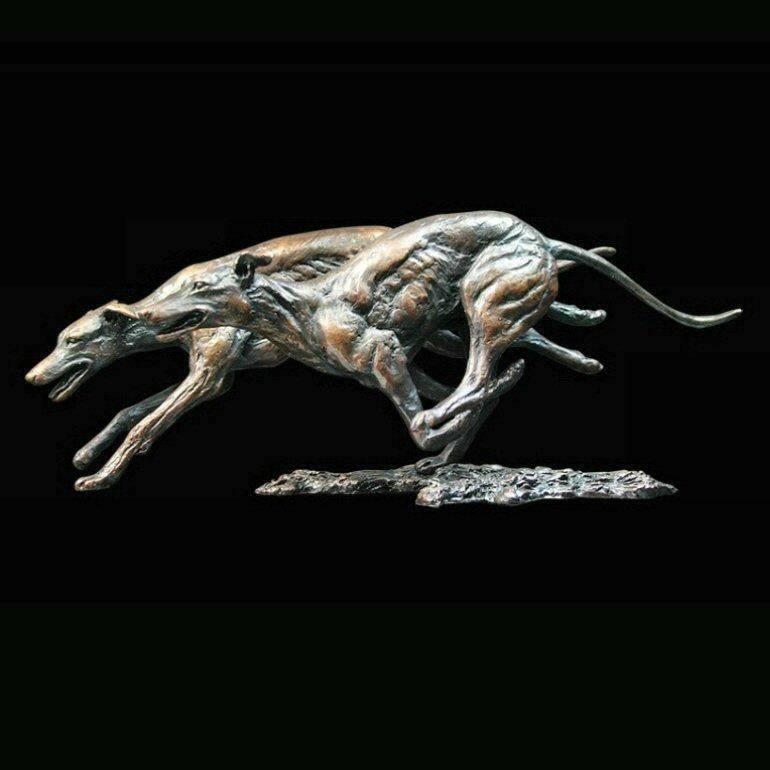 Keith Sherwin's superbly observed and executed sculpture really brings out the power and speed of these magnificent dogs when at full tilt. This beautifully detailed, hand finished, solid bronze, limited edition sculpture would be a fine addition to a collection of dog bronzes or the perfect gift for a greyhound lover.